Apple store and Google Play are flooded for submission with hundreds of applications on a daily basis. These apps are spread into various aspects such as games, social network, eCommerce, etc. These apps are different from one another and hence, the method of a process involving mobile app development interconnects with each other in many ways. You’ll first need to set the idea and purpose of the app. Based on that, keeping user’s perspective in mind you’ll need to craft the concept around demographics, behavior patterns and goals. Clear goals and solid foundation of the base of the application should be able to guide you further for the necessary research essential for the coming step. During this stage, you must ensure that you have done all the necessary groundwork for the process. Also, a detailed analysis of other similar apps available from the competitor would be utmost helpful in determining to include features to make your app unique. This step makes sure that whether the said mobile application is technically feasible or not. In order to do that, first, you’ll need to have an understanding of the app visuals through wireframes, laying out the map with detailed sketches of the app. This will help you to clarify your doubts and arranging them in an orderly fashion will give clear app idea outlook. Additionally, to continue with the app feasibility, Android app developers would require access to public data via public APIs sourcing. At the end of this stage, the app development team might have a completely different set of app idea in place especially if the initial tests confirmed that the original functionalities are not feasible. 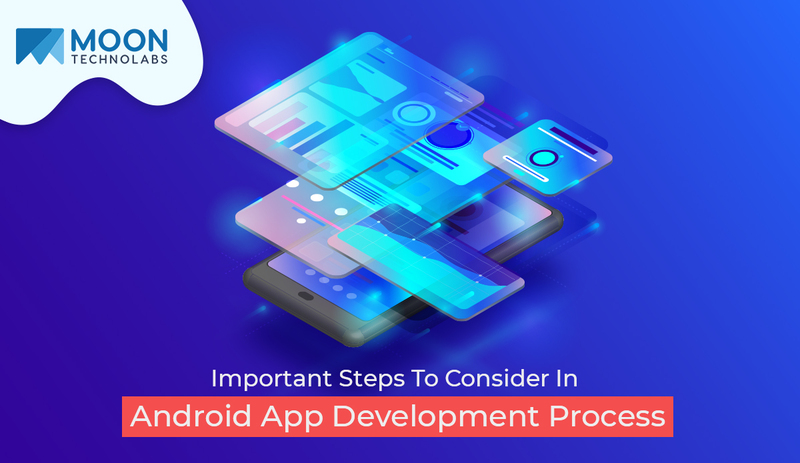 This is another crucial step in the Android app development process, as the two major elements from design aspect of the app i.e, UX (user experience) and UI (user interface) will be taken into consideration. Usually designer has to architect the design elements and their interaction while for the user interface is build keeping in mind modern user’s preference. Application designing requires detailed attention and with various steps involved in itself, opting for clear visual directions will lead to narrowing down to the final product design. During the development stage, a working model of the app with the featured functionality, assumptions are made within the understanding of the project scope. The app goes through various development phases starting from performing the core functionality to initial testing run. Once this is achieved, the app will be released to an external group for more testing the app concept in various ways. If the application has wider usage and implications then usually app developers and especially, an Android app development company find it easy to break down the process into further smaller modules by adopting agile methodology. The more testing being carried out from the initial phase will result in a more robust and top performing app. The more your app is tested the more it will withstand for usability, interfaces and security checks, threats, compatibility and overall performance of the app. Based on the feedback and once the bugs are removed, then comes the deployment phase in which your app will be ready to launch. App stores have their own launching policies and conditions which need to be abided. More or less, the deployment stage is planned & executed based on app store procedures and policies. Well, one might think that the work is done but that is not the case. Once your app is downloaded by user’s, feedback will start coming in about the app based on that you’ll need to start working & improving your app. Regular updates and incorporating features will become part and parcel of everyday app lifecycle. 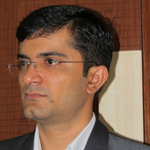 In order to make the product viable as per the users’ expectations and preferences, the organization needs to make sure of allocating enough resources to meet the end needs.